Imagine two full days with digital marketers sharing their insights, experiences, strategies and blunders. That was ClickZ Live (#CZLNY), a digital marketing conference I recently attended in New York. The amount of resources that companies are investing in digital marketing is vast, and the stakes are high. A Nielsen survey, An Era of Growth: The Cross-Platform Report, confirmed that the average American adult spends 10 hours each day on electronic media, now a primary source of entertainment, shopping, information gathering and socialization. The result is that digital marketing sits on the front lines of the battle for consumer engagement. Many of the speakers returned to the same core message: create authentic content. The litmus test is to consider what actually makes you or your company an authority on a topic. It sounds simple, but actually it’s not. When creating digital marketing strategies, look harder at the areas where the business excels and the commentary could have weight. At Resourceful Business, our team will have more of these types of conversations with clients and map out areas where they can be authoritative, because those topics will be the basis for authentic, meaningful content. At #CZLNY, there were so many incredible examples of companies using digital strategies to give their customers insight into their businesses. We saw a fantastic GE video featuring an original soundtrack by electronic music artist, Matthew Dear, called Drop Science. Dear utilized thousands of audio emission sounds from GE facilities and turned them into a soundtrack. The video included Marquese “Nonstop” Scott, an iconic dancer, performing to the music in a breathtaking GE testing facility in Peebles, OH. The video gave viewers a peek into GE’s testing facilities and the vast array of complex equipment GE engineers are working with every day. It was a great example of giving clients insight into places they normally cannot see or go, yet it still reminds the viewer of the business brand and what the company does. Jinal Shah, of J. Walter Thompson Worldwide, a premiere marketing communications company, categorized digital content on a continuum: lightweight, middleweight and heavyweight. It was interesting that lightweight was really a vehicle to push out middleweight and heavyweight content, not necessarily a basis for a marketing strategy in and of itself. In trying to maintain a certain standard when producing digital content, social media was cited as the one medium that presented the most challenges. However, the Oreo Moment, when Oreo put out a tweet during the 2013 Super Bowl XLVII blackout saying “YOU CAN STILL DUNK IN THE DARK,” was mentioned as a powerful reminder of the impact lightweight media can have nonetheless. The Oreo Moment achieved 18,000 Facebook likes, 10,000 retweets, and 5,000 shares in the first hour. Seeing digital marketing content on a continuum is a more constructive way to view content, and it will ensure that a strategy is in place in each of the three categories. Every digital marketing strategy must have an ad budget. An ad budget permits a digital strategist to boost key pieces of content with paid social, for example, because organic reach is often not sufficient when you are trying to distribute specific content to a target audience. So, maintain a digital marketing budget for the added flexibility of giving a strategic content piece a push through paid ads. Every business can relate to key holidays, events or songs. These pop culture tie-ins can lead to high levels of engagement, especially if they are current. A landscaping business, for example, could plan a marketing campaign around Earth Day every year. Small businesses should always have a digital marketing campaign around Small Business Saturday. A restaurant could create a featured dish for Superbowl Sunday or March Madness. Pop culture draws engagement, so create a pop culture calendar and develop relevant, timely digital marketing around the different events. By leveraging the successful brand recognition of other people, partners or even pets, a company can open up new audiences and gain priceless exposure. At the time of the video, Barkley the Pom had approximately 370,000 Instagram followers. Now with 478,000 followers, it is clear that leveraging someone else’s brand awareness can be a remarkably effective strategy. Great conferences like #CZLNY have a way of crystallizing information that is meaningful and thought-provoking. The innovation in the digital marketing landscape is breathtaking, and any digital marketing strategy will take energy and constant review to keep pace and remain relevant. 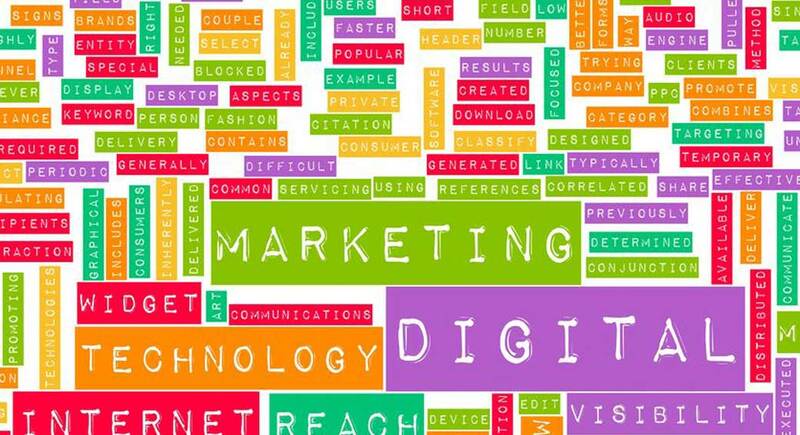 Hopefully, these seven examples and insights will give your digital marketing some added punch, but if your company’s strategy could still use an overhaul, contact us or call (973) 218-6558.